Being a Mum of 3 kids means there is always a lot of mess created! We have my 12yr old son who has got the small 3rd bedroom, and my twin girls who share their bedroom. So between them there isn’t a lot of room to be messy! 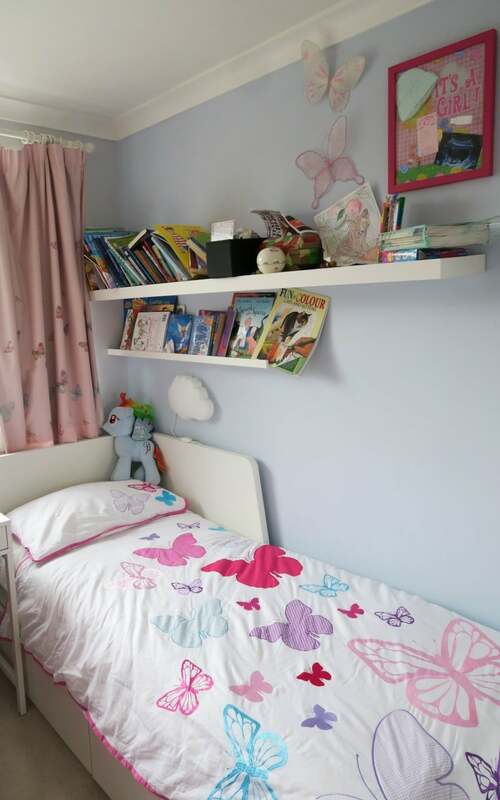 Downstairs isn’t a space where they can store toys either, so they have everything in their bedrooms. When we did the girls bedroom, I was able to start from fresh, and design the room to the best we could for storage options, and things that would work well in the space. So I thought I would give you my ideas on how I keep the kids room tidy. With their new bedroom, I wanted to give them lots more storage, and this seems one of the most important ways to keep the kids rooms tidy. So we invested in some IKEA beds with large storage draws underneath, but also they pull out into another bed. So this meant we could pull them out for sleepovers, and when Kevs Mum when she stays too. Brilliant space saving solution! Here they are with their friends, they had a big sleep over and 5 of them in one room! Great fun! However storage beds wouldn’t give them enough storage alone, so we purchased two triple wardrobes, and added in storage boxes for toys, underwear and PJ’s. Please excuse the mess, the girls haven’t quite got the hang (no pun intended!) of hanging clothes on a hanger, and squeezing it in between other clothes properly yet! 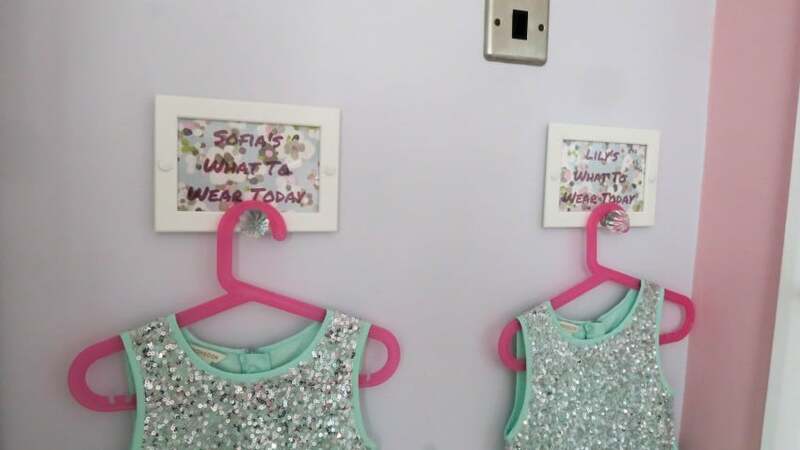 We also have a ‘what to wear hook‘ which hangs the items they are wearing the next day, school uniform during the week, and I hardly ever find uniform on the bedroom floor now! So cheap and easy to make as well! The next thing storage option in the girls bedroom was for their books. They had lots of books that would be forgotten about when they were stored in boxes. So we invested in shelving for the books, top shelf for storing, and the bottom picture ledge shelf for the library books (not easy to lose!) and books they are currently reading. This has worked really well, and they are reading much more, and a larger range of books too. The desk has been great source of storage too, they can store all their paper, colouring items, pencils and crafty bits. The little storage drawers on the top are storing all their hair items, and hair brushes. List of everything in their room can be found on the twin girls bedroom reveal blog post if you are interested. 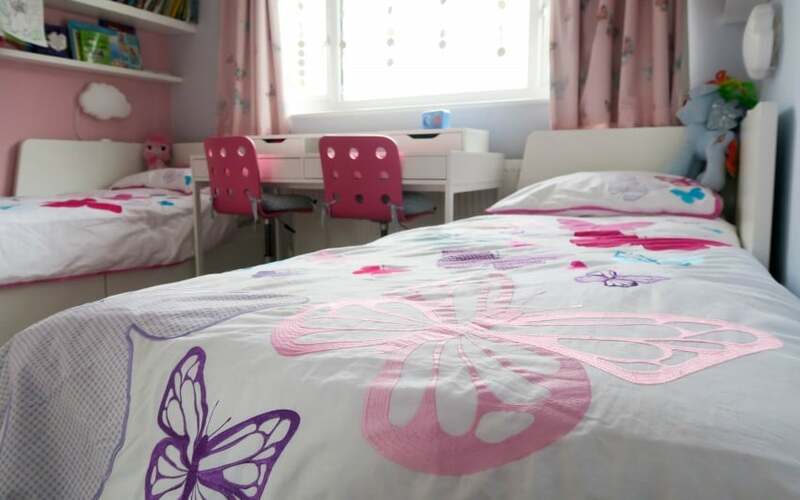 *The Duvets were sent to us by Room To Grow, and feature this beautiful appliqued butterfly pattern all over them. They are so soft to snuggle up under too, my girls love them! 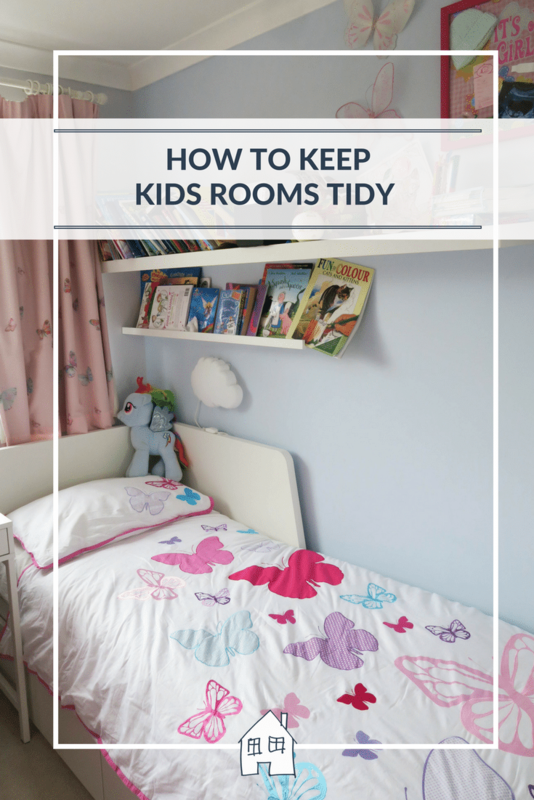 I also teamed up with a great list of bloggers who came up with their own ideas on how to keep the kids room tidy. I hope you get some more tips and ideas too! Thanks to all the bloggers who put their suggestions forward, great ideas! *We were sent the duvets to feature on my blog, however all words are honest of my own. I agree, IKEA storage boxes are awesome. I love the idea of a hook to keep out the next day clothes. Did you make this yourself? Yes I made it myself, it gets so much use! Boxes are a dream when it comes to kids rooms! They can decorate them and make them their own, to ensure that tidying becomes fun. You wouldn’t think that it works, but it does! 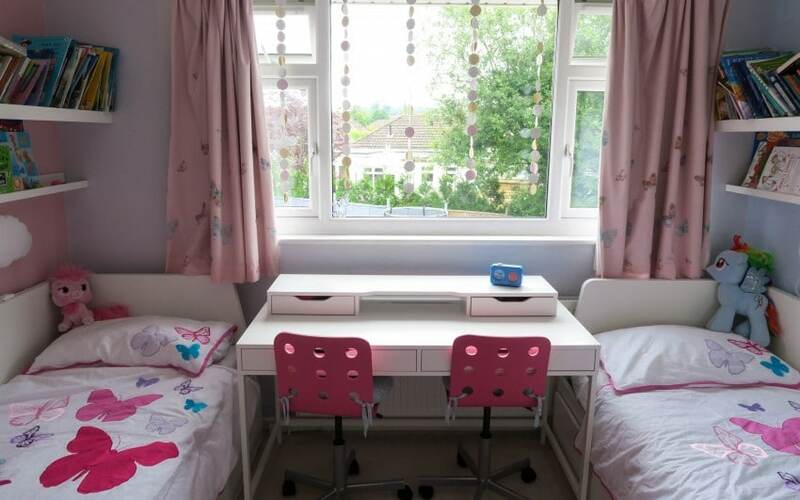 I think teaching them to be responsible for their own room is important at a young age, and parents should rarely give in to tidying their childrens’ rooms. Soon they will learn to be organised or disorganised, and as long as they put their washing out, then there’s no need for mum to step into the bombsite anymore when they become slightly older! I taught my little ones to put their dirty clothes in the washing basket from a very young age, it does work! Interesting post. I am always looking for ideas to get my children to tidy their own room. Lobe the duvets my girls would love them I’m sure! Really pretty aren’t they, hope the tips help! Great advice, we have all 3 kids in together and it is really tough keeping some sort of order to the chaos! My 2 make such a mess, let alone 3 of them! The duvets are so pretty aren’t they, but the picture ledges for their books have transformed how much they read now. 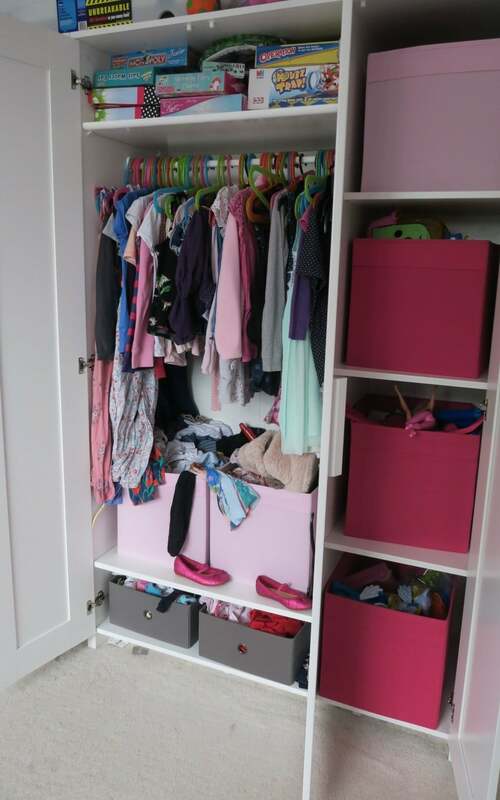 What a fab article, me and my daughter went through her drawers and wardrobe and sorted all her clothes into ‘outfits’- that way shes doesnt have to rummage through her drawers to find something to wear. That’s a great idea, I often think I have lots of items of clothes but not proper outfits. Hope it can give you some ideas to help! Oh my gosh, the kids rooms drive me nuts!! More than that it’s the ‘I’ll just drop this here where I stand’ nature of their untidiness that drives me insane! I don’t know how they can just think like that…..I’ll drop it here until I need it!! Great post. We live in a smallish house and space is an issue. I am currently decluttering to make more room as with 5 of us in here we seem to accumulate a mass of items that we don’t use. The what to wear hooks might just be a lifesaver and I like the beds with storage draws that is such a good idea! The hooks are brilliant, the girls use them so much. Some fab tips here loving the idea of the what to wear hook and agree storage is key! As much storage as possible!! Great tips! With four children I am constantly tidying bedrooms, it’s so time consuming! I love the what to wear pegs, I’m going to get some of those! So easy to make, and they really do work well! Fantastic post this. It’s a 24/7 mission to try and keep an teenagers bedroom tidy these days! My son hasn’t quite got to the teenager pit….YET! They are so easy to make they are worth a go!